Daniel has extensive litigation experience, having tried numerous cases before both judges and juries in both Florida and Alabama. Daniel’s practice focuses primarily on employment and restrictive covenant litigation. 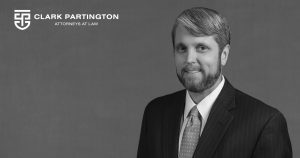 For his excellence in litigation, Daniel has been recognized as an AV-rated attorney by Martindale-Hubbell, a Florida Super Lawyer, an Alabama Super Lawyer, and an “Up and Comer” by Florida Trend’s Legal Elite magazine. Outside of the office, Daniel serves as Chair of the Board of Trustees for Episcopal Day School in Pensacola and is the Vice-President of the Pensacola Chapter of the Washington and Lee University Alumni Association.